• Branch Out Brimbank - Love a Tree, Win a Prize! Branch Out Brimbank - Love a Tree, Win a Prize! Did you know there are more than 40 types of gum trees in Brimbank’s streets and public spaces? We've launched Branch Out Brimbank – an initiative to encourage a love of trees across the municipality. Branch Out Brimbank provides you the opportunity to learn more about trees and their importance to the community, as well as a program of tree related events and activities for everyone to enjoy. We know there's an appreciation for trees out there in the community so Branch Out Brimbank is about taking the time to appreciate the many aesthetic, environmental, economic and health benefits trees provide our community. To celebrate the launch of Branch Out Brimbank residents are invited to enter a photograph of their favourite tree to win a $100 iTunes gift voucher and a copy of Australia’s Remarkable Trees, by writer Richard Allen and photographer Kimbal Baker. To enter, submit your photograph of your favourite Brimbank tree via Instagram with the hashtag #BranchOutBrimbank. 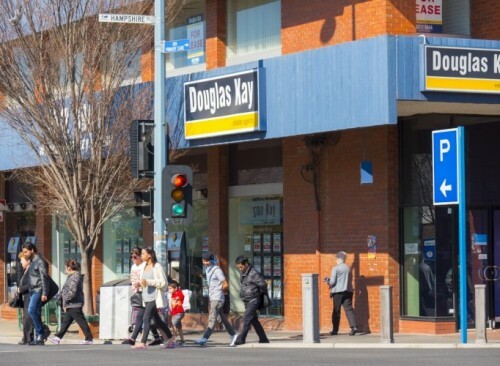 Photographs entered in the competition will be published on social media, on the Branch Out Brimbank website, and a selection will be displayed in Brimbank Customer Service Centres. More details can be found at Branch Out Brimbank. 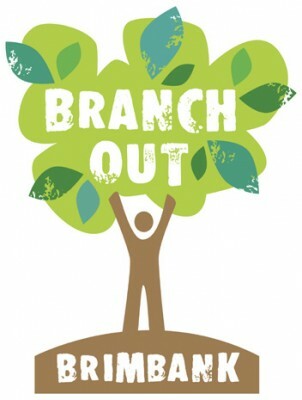 Details or tree-related events and activities can be emailed to branchout@brimbank.vic.gov.au. 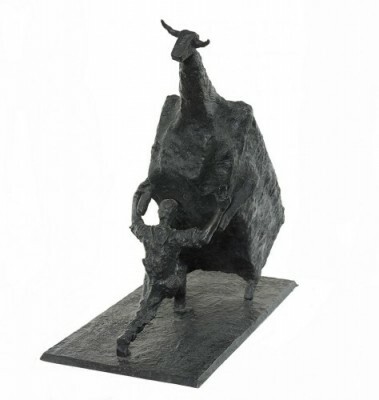 John Kelly’s 4.5 metre bronze sculpture Man lifting cow (scale model pictured) is coming to Sunshine after Council formally approved commissioning the artwork at the Council Meeting on 11 August. Chair of Brimbank Administrators John Watson said the project was made possible through significant financial and in-kind support from both philanthropic and corporate organisations. “This project will give Sunshine an international profile while also inspiring other local artists by demonstrating what is possible. It is a triumph for Sunshine to be home to John Kelly’s work,” Mr Watson said. “John’s other sculptures have been exhibited far and wide, in Paris, London and Ireland. Many will know his work Cow up a Tree that is permanently located in Melbourne’s Docklands. “He is a role-model for not only what he has achieved in the arts but also for his generosity in giving back to the community where he grew up, Sunshine. “Sotheby’s, John’s sculptural agent has also been heavily involved in this initiative. “Usually the preserve of major city centres like Melbourne, Paris and Monte Carlo, this sculpture will act as a beacon signifying Sunshine’s re-emergence as one of Australia’s great centres. “We look forward to work on the sculpture beginning later this year where it will be created and fabricated right here in Sunshine. “At this time we will also announce our partners and provide more information about the precise future location of the sculpture. “We are commissioning this artwork now so that installation can coincide with Hampshire Road Precinct upgrades and the opening of the Brimbank Community and Civic Centre in 2016,” Mr Watson said. As part of the Hampshire Road Stage One construction works that are underway there will be partial lanes closures between Dickson Street and Devonshire Road, Sunshine in both directions during the week of 17-21 August. Detours will be in place during this time. There will also be a full lane closure between Dickson Street and Devonshire Road, Sunshine in the coming weeks. Businesses located along this section of Hampshire Road are still open for trade and visitors are encouraged to park in the nearby Withers Street car park or use public transport. Stage one works will see the Hampshire Road streetscape transformed with new footpaths and street lighting, a raised pedestrian crossing and sculptural seating wall. The upgrade of Hampshire Road is just one of a range of improvements being undertaken in the Sunshine Town Centre. Brimbank spoken word artists, poets, wordsmiths and rappers get your chops together for a chance to become Australia’s next slam poet. The 11th annual Australian Poetry Slam is coming to Brimbank – with the fourth Victorian heat to be held at Sydenham Library on Saturday 29 August. In the poetry slam heats, you're given a microphone, a live audience and just two minutes to impress the judges with your original spoken word, poetry, hip hop, monologues and storytelling. The heat winner will receive a $100 cash prize, second and third place competitors will each receive $50 JB HI FI vouchers. Heats are being held at local libraries and public spaces across the state, with two finalists from each heat to face off in the Victorian final at the State Library Victoria on Friday 11 September. The Victorian winner and runner up will compete in the national final at the Sydney Opera House on Sunday 11 October for the chance to become Australian Poetry Slam champion. Australian Poetry Slam is presented by State Library Victoria and is co-created nationally by Word Travels, supported by state, territory and public libraries and festivals across the country. More information at Australian Poetry Slam and Victorian heat and finals information. This exhibition will turn the entire Sunshine Art Spaces gallery into a single large-scale art piece. Using the techniques of mural painting and trompe l’oeil Shane’s work delves into the world of Lewis Carroll’s Alice in Wonderland and Through the Looking Glass, as part of Brimbank City Council’s Writers and Readers Festival program of events. This photographic exhibition focuses on the notion of chance and fate. 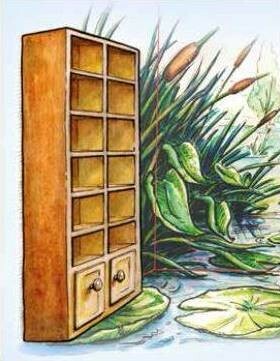 The images depict random moments intime and space where fate and chance may intervene like a simple role of the dice. Ben’s paintings are an interpretation of his life’s journey in Melbourne. His work draws on his background and blends his current experience of western Melbourne landscapes to become abstract interpretations of place.